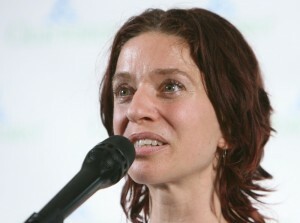 When a prospective girlfriend dragged us to an Ani DiFranco show during our college days in Madison, Wisc., back in 2001, we brought a extra package of fresh Bic lighters. We weren’t just oblivious to her music – we had an entire set of stereotypes to which we were entirely devoted, and so we entered the venue expecting to sit down in a circle, holding hands with our neighbors while emoting about the patriarchy. And, of course, lots and lots of flickering lighters. Instead, we were blown away by her talent. And not just as a singer and guitarist – as a performer, the type whose dancing gracefully overcame platform shoes and a face full of braids. And her backing band? Oh my, how they grooved. Funky horns, tight drums – a real jazzy affair. The prospective relationship didn’t work out, but who cared – we now had Ani. Right? OK, so our fascination died as quickly as it came on, and we never sought her music again. In fact, we until today we thought that she had gone wherever it is that artists go once they’ve peaked and come down the other side. Oblivion? The open mic circuit? So not only are we thrilled to learn Ani is back with her nineteenth – nineteenth!?! – solo studio album, but that this one’s earning accolades as her “funkiest and jazziest” to date. Binary is due June 9th, and tomorrow on New Tracks on the Trail we’ll feature it’s first single. 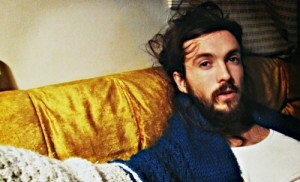 -You know Alex Ebert better as his alter-ego: the incredibly talented frontman for the Magnetic Zeros, Mr. Edward Sharpe. But for the second time in his nearly two decade-long career, Ebert is hanging up the facade and coming at us with something a little more personal. Broken Record is his second solo effort since 2011’s Alexander, and this week we’ll feature its title track. Check out the LA Times review plus the official music video HERE. -Last month, we introduced the fifth official single from the Gorillaz’ new album to our playlist on a New Tracks Tuesday. This week we’ve picked out another one off the much-hyped record. Titled Humanz, the release marks the virtual band’s first in six years and, once again, includes a full slate of collaborators. Gorillaz will headline their inaugural Demon Dayz festival next month in the UK, followed by a world tour starting in July. -One of 2014’s breakout tracks came from the German pop duo known as Milky Chance. We couldn’t get enough of “Stolen Dance,” and the song’s popularity rocketed them to the festival scene and, consequently, international superstardom. 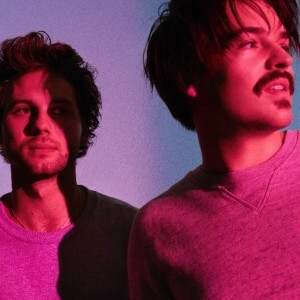 Now Milky Chance is back with their second studio release, Blossom, and this week we’ll unveil its title track. If you haven’t already heard, they’ll be performing LIVE at the Wilma in October. Tickets are on sale HERE. -Finally, our third and final nod to local artist David Boone in advance of his much anticipated album release on Friday. As we blogged several weeks back, we’re excited Boone’s long-in-development project will finally see the light of day, and so we’ve been previewing some of our favorite new tracks each Tuesday this month. For David’s story and to download the tracks as they’re released, visit davidboonemusic.com. There ya have it – another Tuesday, another batch of New Tracks on the Trail! Thanks as always to Rockin’ Rudy’s for sponsoring this weekly feature.